Exquisite “Indecent” Reprieved & Extended Through Summer! Good, good news! 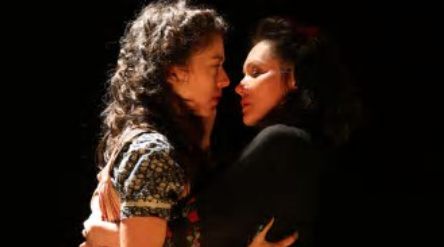 What I think is the best play of the year “Indecent” is now being given a reprieve and an extension through Aug.2. A huge jump at the box-office made the producers decide to give it a run though the summer, hoping its’ two Tony Awards and great word of mouth will keeping reaping the rewards, it so justly deserved. And it was going to close on Sunday! Imagine its’ talented ensemble cast’s surprise! The two Tony awards,to Best Director of a Play, Rebecca Taichman and Best Lighting Design for the young lighting wizard Christopher Akerlind. The Cort Theater on W.47th Street between Broadway and Sixth Avenue will continue to be where Rebecca Vogel’s masterpiece holds court. “Spamilton” for the Third Time! Now with Two Acts! Appy Fourt of July! Computer STILL Broken!